3D printed supercars; air quality sensors; smart shirts. Divergent Microfactories has rolled out a new approach to auto manufacturing based on 3D printing. The technology is based on what the company calls a Node. A Node is a metal alloy that is produced using 3D printers. The Nodes are combined with carbon fiber tubes, which, in turn, enable the development of a car chassis. With the technology, companies can build a strong and lightweight chassis. The weight of the Node-enabled chassis is up to 90% lighter than traditional cars, but the technology is stronger and more durable. 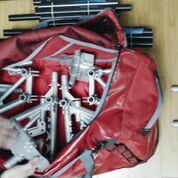 And a chassis can be assembled in just minutes. 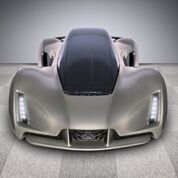 Using this approach, the company developed Blade, a prototype supercar. Equipped with a 700-horsepower bi-fuel engine that can use either compressed natural gas or gasoline, Blade goes from 0 to 60 miles per hour in about two seconds and weighs around 1,400 pounds. At the recent Imec Technology Forum 2015 in Brussels, Belgium, Imec and Holst Centre launched a new R&D program to capitalize on the Internet of Things (IoT). The program, dubbed the Intuitive Internet of Things (I2oT), leverages the technologies of both Imec and Holst Centre. This includes a bevy of low-power sensing, connectivity and one-chip wireless solutions. Imec and Holst are looking for partners to join the program. As part of the announcement, Imec and Holst Centre have developed a small gas sensing platform. The device is basically an air quality monitoring sensor. Featuring a low power consumption in the mW range, the sensor detects nitrogen dioxide (NO2). NO2 is part of a group of gaseous air pollutants. They are produced as a result of car pollution and other combustion processes. Health issues resulting from poor air quality are a growing concern for consumers. Accurate air quality monitoring is becoming more in demand for both outdoor and indoor environments. Typically, air quality is measured on just a few distinct locations per city with specialized equipment. Today’s gas sensors are large, expensive and power hungry, according to Imec. In response, Imec and Holst Centre have developed an autonomous, wireless sensor technology. In fact, the NO2 sensors have already been integrated in the Aireas air quality network, a multiple sensor network in Eindhoven, the Netherlands. The sensors can detect an increase of NO2 concentration up to the health safety limits. At the same time, Imec and Holst are also deploying a similar sensor network inside the Holst building in Eindhoven, which will test for indoor air quality. The generated sensor data is transferred to the cloud and stored in a database. It is then available on a mobile application, according to Kathleen Philips, director of Imec’s perceptive systems for the Intuitive Internet of Things R&D program. “Data fusion methodology and advanced algorithms enable us to combine data from different sensors such as temperature, several gasses, humidity, human presence detection and to derive contextual knowledge. This information contributes to a correct interpretation of the situation and helps us to take adequate actions to solve the problem. In this way, we have developed a context-aware intuitive sensing system,” she said. In a next step, the group will develop sensors for CO2, volatile organic compounds, ozone and particle matter. In a separate announcement at the event, Imec and Holst have developed what the organizations claim is the world’s most advanced smart garment. The garment, which is basically a t-shirt, consists of an electrocardiogram (EKG) and a motion sensing function. The t-shirt can monitor various functions, such as heart rate, heart rate variability, activities performed and calories burned. It can also share information over the cloud via a mobile phone, tablet or PC. The t-shirt features a flexible smart fabric interconnect technology. It also includes a small module, which consists of Imec’s low-power, multi-sensor data acquisition chip (MUSEIC). The chip includes embedded processing, a battery and a Bluetooth radio chip. 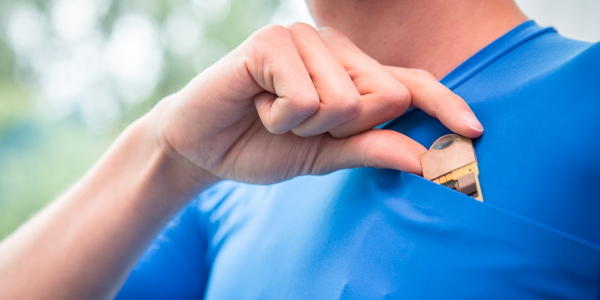 The module weighs only 7 grams, and can be removed to wash the shirt or charge the battery. The smart t-shirt allows for maximum user comfort and natural movement. “Wearable technology that measures body parameters has become increasingly popular in recent years. Smart garments have the ability to tackle a vast range of applications from fitness tracking and healthcare monitoring to safety applications, such as firefighters working in dangerous situations. Today, on-body sensing is performed using very tight, compression garments. At imec and Holst Centre, we want to extend the functionality of smart garments and deliver medical-grade data through looser, everyday clothes,” said Ruben de Francisco, program manager for wearable health solutions at the Imec/Holst Centre.